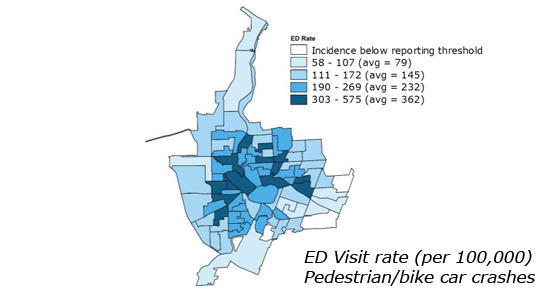 A new data brief from the Healthi Kids team shows some neighborhoods in the city of Rochester are less safe for bicylists and pedestrians. Walkers, runners and bikers from some neighborhoods were more likely to go to emergency departments after cars hit them. These areas include Beechwood, Marketview Heights, 14621, Edgerton, Brown Square, JOSANA, Bulls Head and parts of the 19th Ward and other Southwest neighborhoods. See how you can help make Rochester's streets safer by calling for lower speed limits. When Bishop Jeffrey Melvin doesn’t monitor what he eats, he winds up sitting on the couch watching football while snacking on a bag—the large size—of potato chips. But when the Rochester pastor pays attention, he snacks on applesauce, fruit salad or carrots. 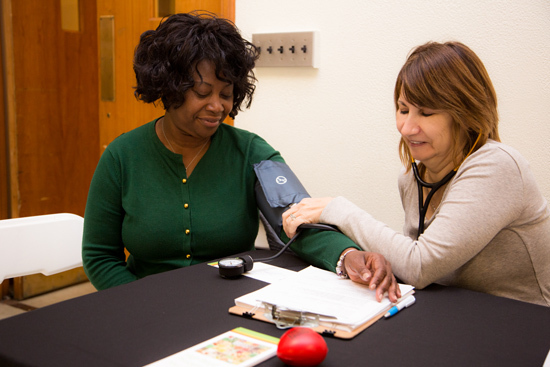 "I’m learning to be more consistent with my lifestyle," said Melvin, a participant in the Healthy Blood Pressure through Faith and Lifestyle Project. Since launching three years ago, the number of churches participating in the project has surged from five to 12. Participants have also logged dramatic drops in dangerous high blood pressure. Learn more. Steuben County Public Health started 100 years ago when a nurse was appointed to slow the spread of tuberculosis. Today it provides health education, clinical and preventive services and help for children with special health care needs. Join them in celebrating a century of health improvement at their June 8 event supporting local trails. 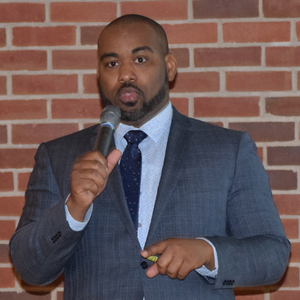 Denard Cummings, director of New York state’s new Bureau of Social Determinants of Health, spoke April 11 at the Partnership for Access to Healthcare (PATH) summit for human services agencies in the Finger Lakes region. He discussed the state’s desire to address social determinants of health by linking the medical community with organizations that provide non-clinical services such as housing assistance or education. View a photo gallery here. City of Rochester families, join us at the free Spring into Summer: Summer Meals Fest! from 11 a.m. to 1:30 p.m. May 19 at Frontier Field. The event features a WDKX dance party, bounce house and obstacle course, Rec on the Move, Summer Meals menu sampling and more. Details here. We're learning more about the New York State Department of Health's initial recommendations for its regulatory modernization effort. Our region held the line on most health indicators in this year's ACT Rochester report card. Infant mortality rates are up, but long-term trends are positive. NPR focused on the work of our partner, Finger Lakes Community Health, in using telehealth to connect with immigrants and refugees.